To use, you need to close your eyes tightly, hold the can 8-10 inches away from the face and mist evenly over the face. The first time that I tested this spray I waited until I had completely finished my face. My eyeliner and mascara was on, my lipstick was on. I closed my eyes really tightly, just like directed, and sprayed onto my face. I let it dry a little, then I opened my eyes. Oh dear. I had mascara running down my face like I was crying my eyes out, it was a mess. I quickly tried to fix it up, but then my eyes started stinging due to getting eyeliner and mascara in them and it was a total disaster. With that said, I could see the spray drying on the rest of my face and in those areas my makeup was looking great. Amazing, even. For sure I realised at this point that this wasn't necessarily a failed experiment, just more of a new product learning curve. So I gave it another go, this time after working on my face but before applying my eye and lip makeup. Eyes closed tight, I sprayed it all over face, let it dry a little, then opened my eyes. No stinging, no tears. As the spray dried the same effect as before occurred, it was making the make up look better than before the spray was applied. When Japonesque claim that this makes the skin look airbrushed and flawless, they aren't kidding. The finish you get after using this spray is pretty incredible. Whilst the effect that this setting spray has on makeup is highly important results wise, there is another important factor: longevity. How does this effect the longevity of makeup? Well, I'm happy to report back that this spray really does help to keep your makeup looking great hours after application. You can do your makeup, spray, and not have to worry for hours. The downside for me is the overly wet feeling that it leaves on your skin once sprayed on. Every time I used it to begin with I felt that I learned a new lesson with it, and this was another one. 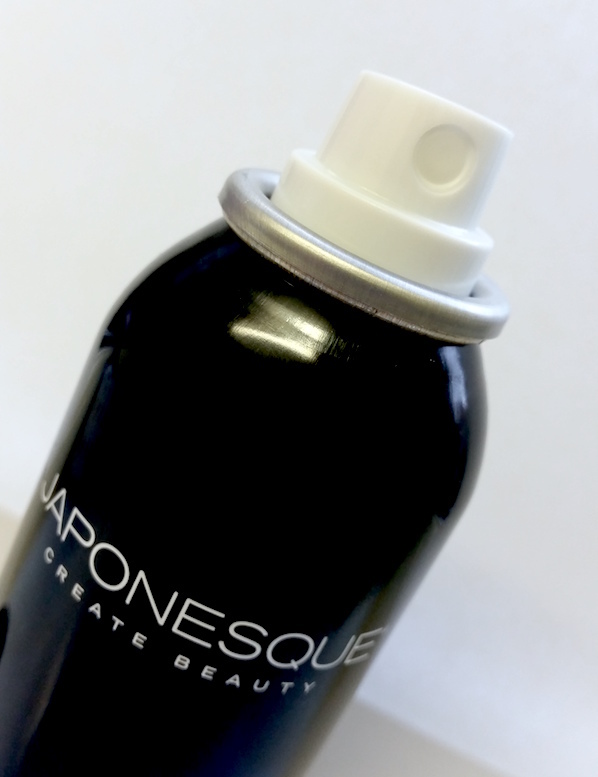 If you over-spray you can get droplets on your face that may start to remove your makeup instead of set it. You can use your finger to gently tap them to re-blend your makeup, but the trick really is to not overdo it. A light mist is perfect and is enough to achieve the finish that you want. Overall, I absolutely adore this Makeup Setting Spray. 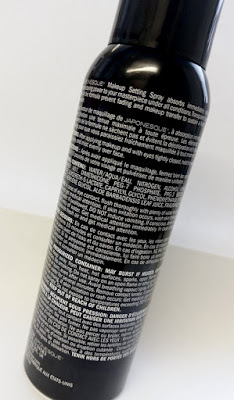 Yes, there were some hiccups originally, but once the lesson had been learnt, this spray has become an essential for me. The effect that it has on makeup is incredible. People throw around the term "airbrushed" a lot in the beauty game, but this is one of those rare products that I feel actually deliver on that idea. The initial over-wet feeling can be a little concerning at first as you feel that your makeup could be washing away, but as long as you don't over-do it (that can be easy to do with makeup setting sprays) then the wetness won't ruin it. If you choose to try this, which I do recommend, just keep in mind the lessons that I learned with it and you should be good to go. Try to avoid spraying on non-waterproof eye makeup to avoid streaking and panda eyes and also don't over-spray to avoid makeup removal. Hit that sweet spot with it though and you'll be flying. 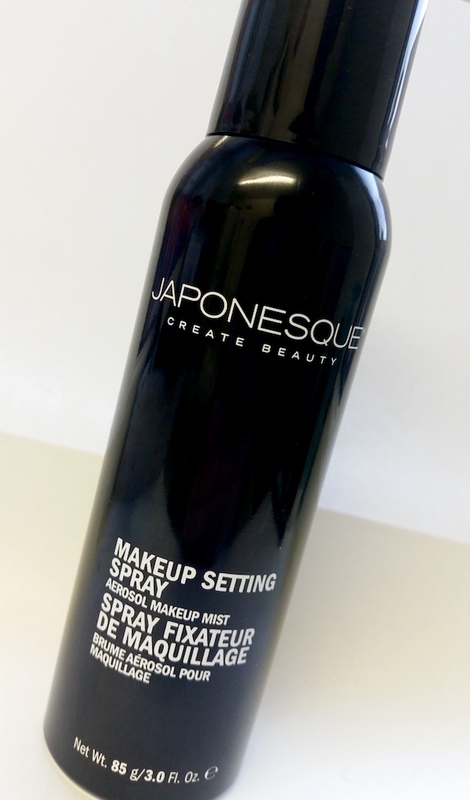 You can purchase the Japonesque Makeup Setting Spray from Look Incredible in the UK and Ulta in the US. What are your thoughts on the Japonesque Makeup Setting Spray? What's your favourite makeup setting spray?